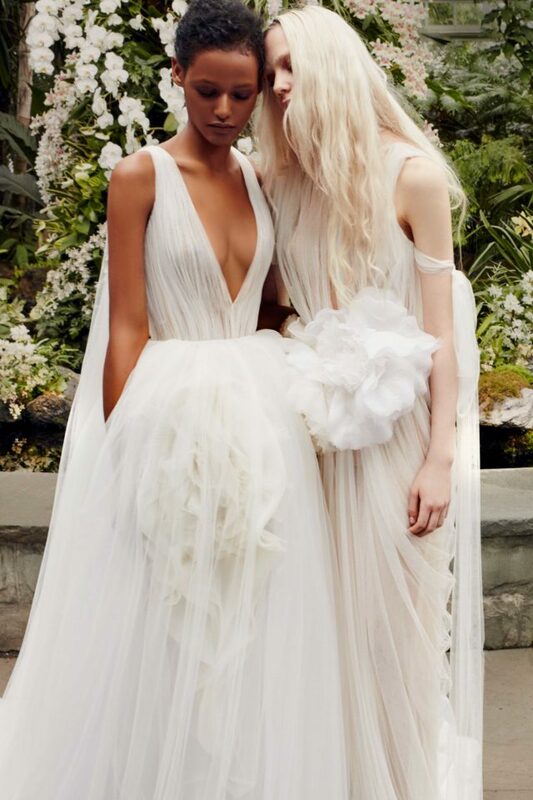 If you dream of wearing a wedding dress that is simultaneously all kinds of glamorous and romantic, but with an unexpected high-fashion twist, you will probably love the Vera Wang 2020 Bridal collection for spring. 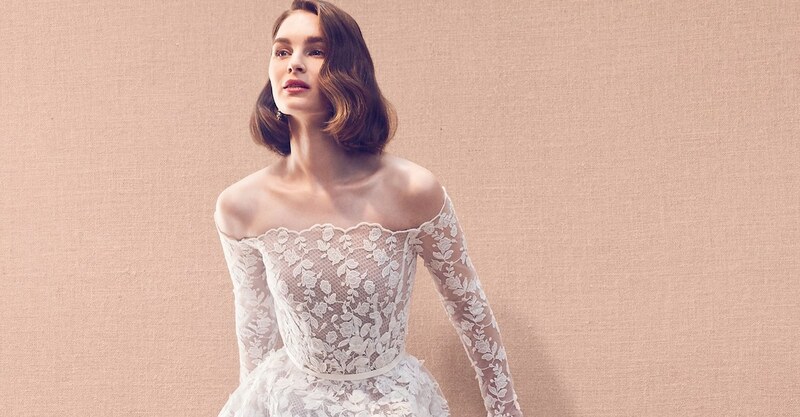 The designer label unveiled its newest designs during this April season of New York Bridal Fashion Week – and it’s a line full of French tulle skirts, macrame lace detailing, organza flowers, and breathtaking wisps of color. 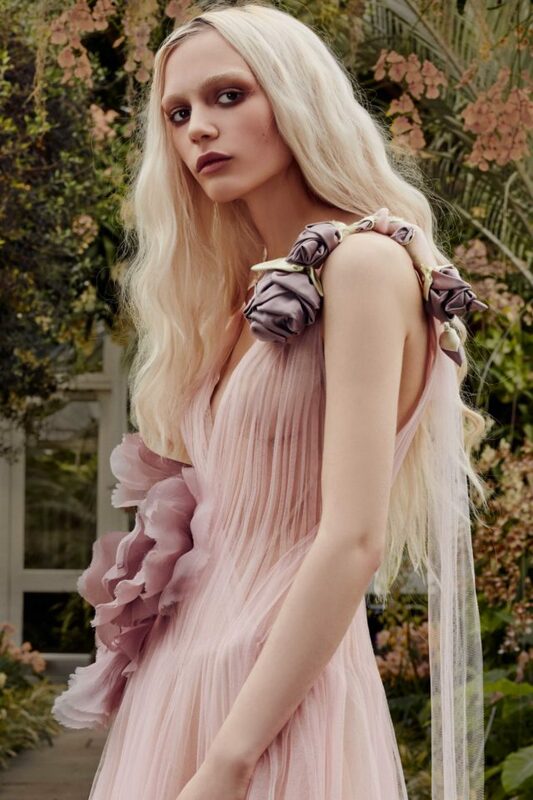 The Spring 2020 season marks Vera Wang’s 30th anniversary in delivering the ethereal, statement-making wedding gowns that many fashion-forward brides-to-be envision themselves rocking on their big day. 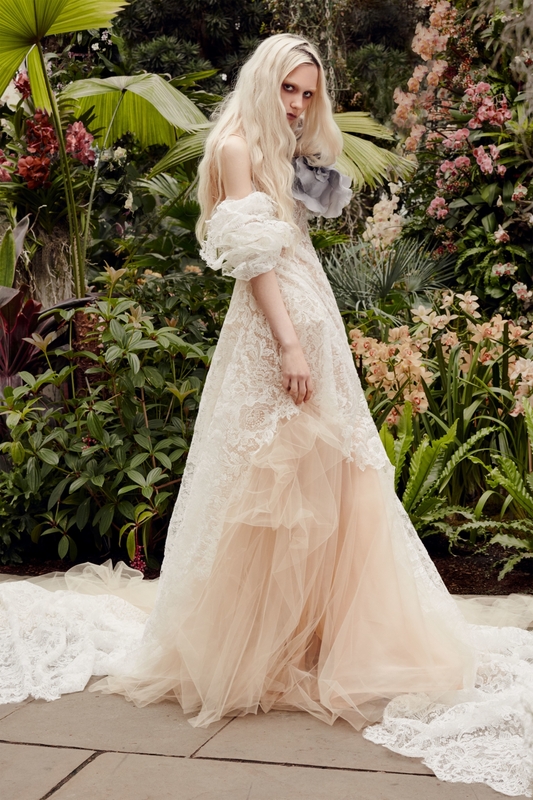 Click through the gallery below to view the Vera Wang 2020 Bridal spring collection lookbook. 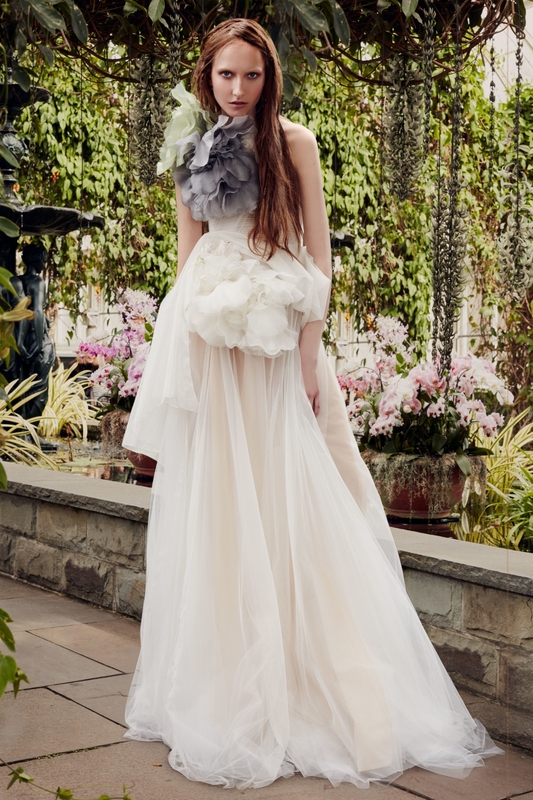 To see the Vera Wang 2020 Bridal collection up close and personal for yourself, be sure to check the designer’s events page to find an upcoming trunk show near you. To view the Vera Wang 2020 Bridal collection campaign video, make sure to press play on the Vimeo player below. 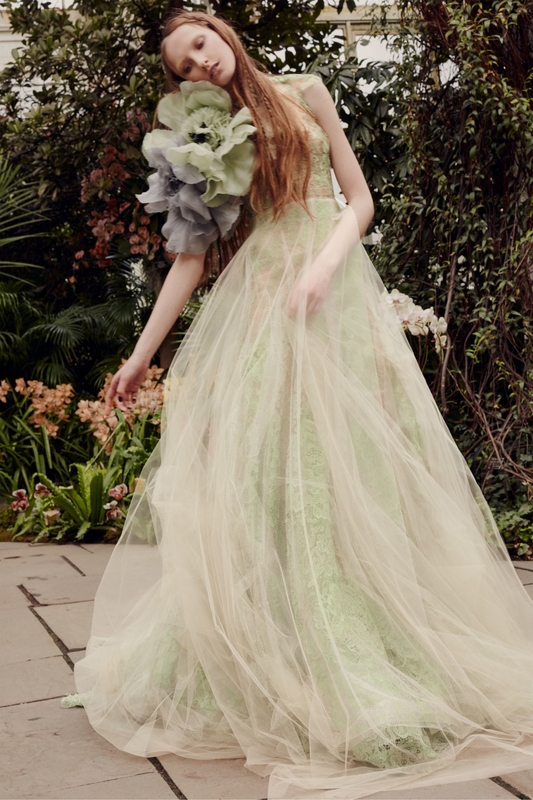 More fashion news from the Vera Wang brand. 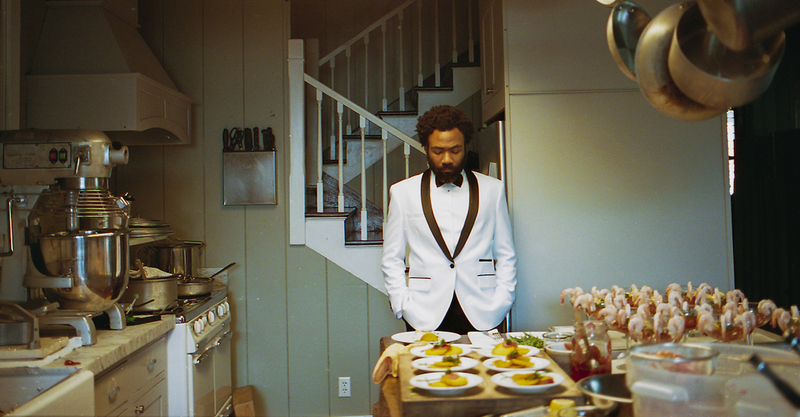 More designers’ 2020 Bridal Fashion Week collections.